USCIB Speaks at Annual OECD Investment Treaties Conference (3/11/2019) - OECD’s annual all-day conference in Paris on International Investment Treaties had a distinctly USCIB flavor this year. Arbitration Committee Meetings Plan for Upcoming Year (2/5/2019) - USCIB co-hosted Washington, DC and New York City luncheons of its Arbitration Committee on January 25 and 29, respectively. USCIB Supports Singapore Convention on Mediation (11/12/2018) - International businesses now have a powerful tool that will greatly facilitate international trade and commerce. 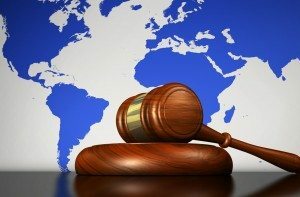 The new Singapore Convention will make enforceable settlement agreements resulting from international mediation. 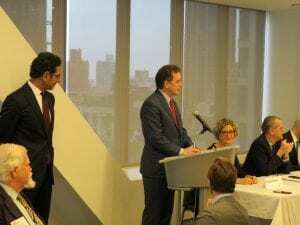 USCIB Hosts Arbitration Luncheon on B2B Data Breaches Disputes (10/16/2018) - USCIB's Arbitration Committee hosted a luncheon with Squire Patton Boggs on October 3 focusing on Arbitrating B2B data breach disputes. 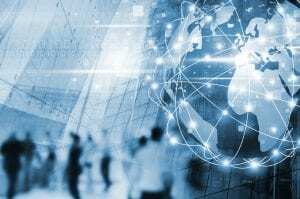 As data breaches are increasingly more common, business-to-business (“B2B”) disputes arising from security incidents between companies are also on the rise. 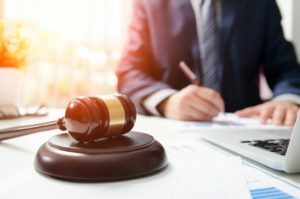 The program focused on the coming wave of data privacy and security disputes between businesses, the legal claims and defenses asserted in these cases and the key role of ADR in resolving these disputes. The New York Convention Turns 60 (8/16/2018) - On the 60th anniversary of the landmark convention on international arbitral awards, the chair of USCIB's Arbitration Committee explains its relevance. 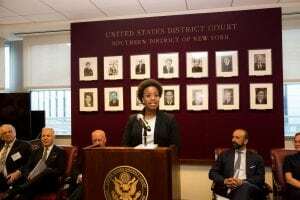 USCIB Joins ICC in Celebrating Anniversary of NY Convention (7/31/2018) - New York's international arbitration community recently celebrated the 60th anniversary of the New York Convention, which provides a universal basis for enforcement of arbitration agreements and awards is a source of particular pride to ICC, which initiated the drafting process that led to the Convention’s adoption by the United Nations in 1958. 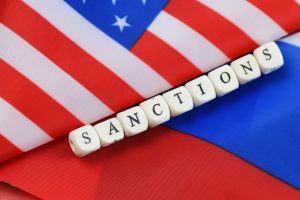 Russian Sanctions: How Do They Affect US Business? (5/14/2018) - A roundtable discussion was held at HodgsonRuss LLP in New York on April 26, connecting participants from Washington DC, New York and Europe to discuss the recent sanctions imposed by the U.S. Government on Russia, enforcement trends and how they affect the way the U.S. companies conduct business around the globe.